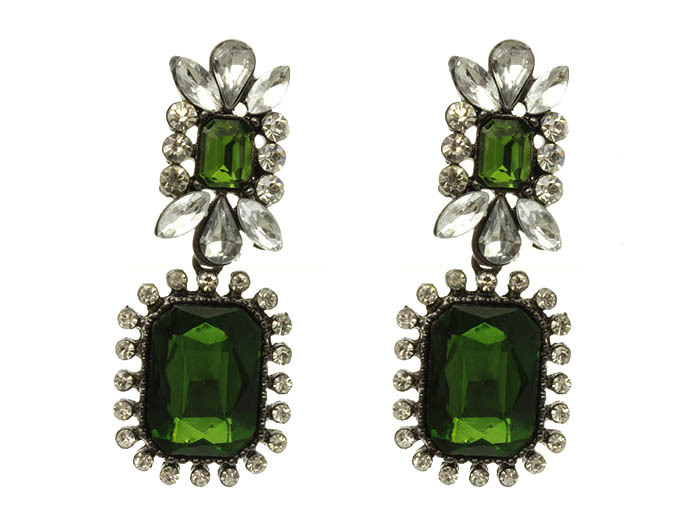 The crystal-laden Mabel earrings redefine the nostalgic charm of classic drop jewels. Featuring a double-tier of deep emerald rectangular cabochons surrounded by an interesting arrangement of spoke crystals and shining quartz beads. Wear them majestic or casual.